Over the years we’ve had many customers ask us if there’s anywhere for them to ride while they’re at the shop. Up until now explaining the routes has presented a challenge, so we’re pleased to say that we’ve now made it easier than ever to pick out and plan a bike ride while you’re with us. Whether you’re here to collect your new bike and want to take it out for the first time, or looking to make the most of your trip with a spin down some of our stunning country lanes, there are countless beautiful local loops to explore. We’re happy to introduce our new RideWithGPS account, with a collection of ‘Epic’ Local Loops for you to try out. As keen riders ourselves we have collated a few suggested routes for customers and club members who aren’t as familiar with the area in our (click here – opens in new window). There are plenty more being added regularly to our collection for those who tick off the list, and as we explore more of what this area has to offer. 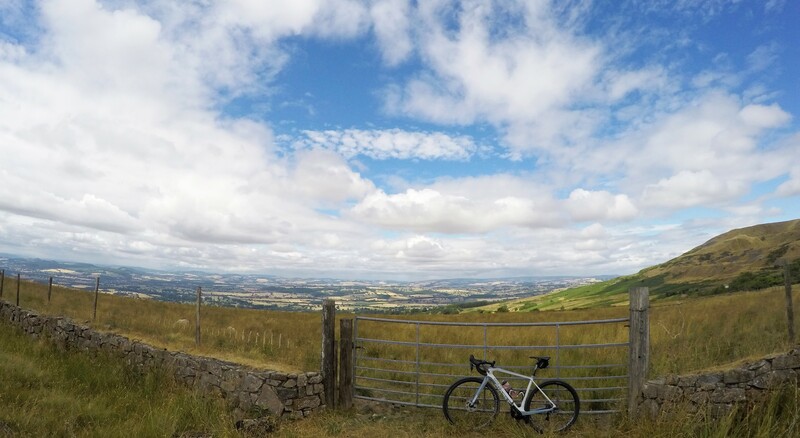 Customers have often travelled a long way, taken time off work to visit us in store, or simply wish to take advantage of being in the beautiful countryside, so we want to make it as easy as possible for you to get out and enjoy riding your bike. With routes ranging from a quick lunchtime spin, to riding up some of the most stunning climbs in the area, to taking on a more adventurous ride on the gravel roads, there’s something for everyone.